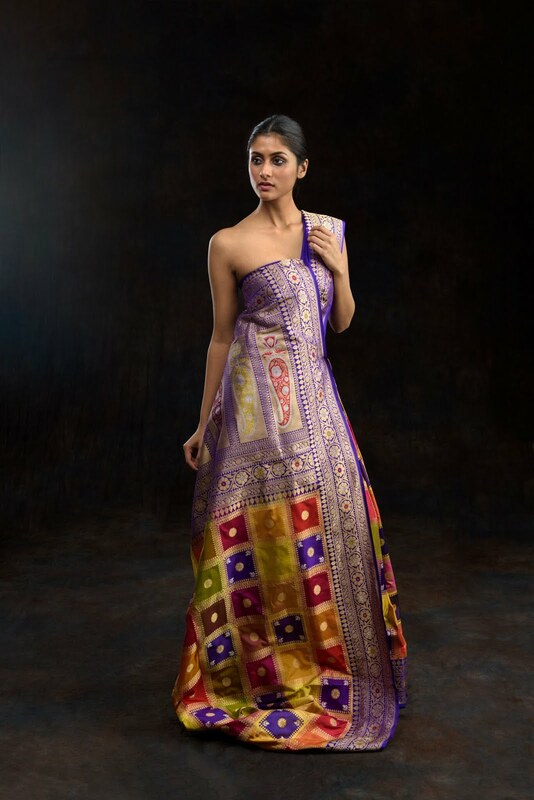 Pinki Sinha is an Indian fashion designer with a new take on traditional Indian wear. Through her elegant patterns both stylish and rooted, her label reflects freshness and versatility giving modern twist to the classics. 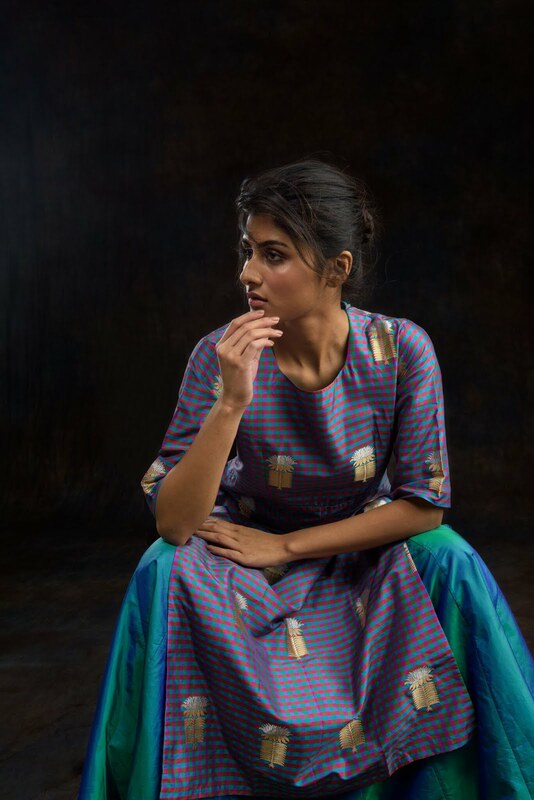 Her label revolves around the Banarsi textile and has rediscovered some of the old intricate designs and patterns. She is a designer out of passion for Banarsi textiles and has spent endless man hours with the master weavers at Varanasi successfully trying to rediscover the oldest designs and patterns. 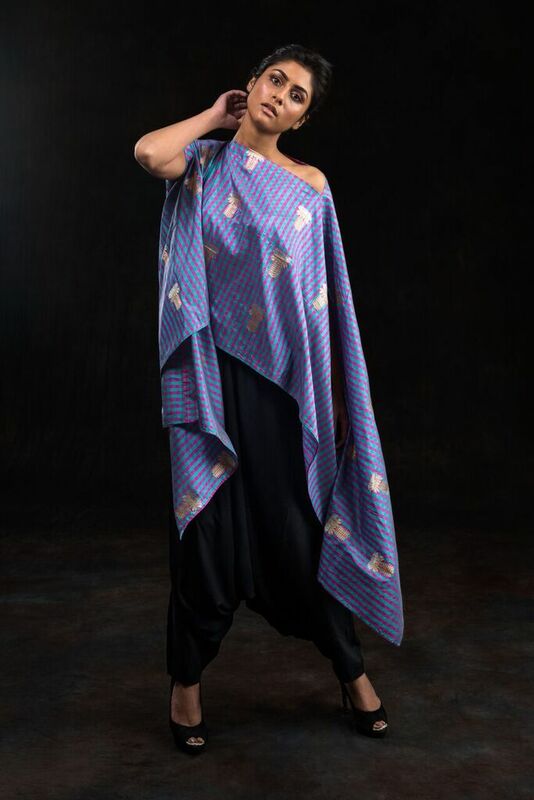 VISHWA is 2.5 year old label that focuses remains on the beauty of heritage and presenting it in more wearable forms since inception. Her Collection is available through retails stores In India-Aza At Altamount,Juhu,Online, 85 Lansdowne-Kolkata, Deval At Ahmedabad, Collage In Bangalore, Pernias Popupshop, and at All Locations of TAJ KHAZANA. 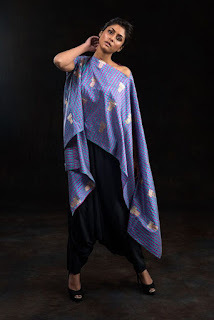 The recent collection "ZARI-DHAGA" strives to show "Indian woman is the modern one"-She walks,She leads yet remains rooted to her art and culture. The elegance of our heritage weave entwined with beautiful gold ,silver and colourful yarns is ethereal and presented in multiple forms of wearable art. The collection bejewels the world's oldest unstitched garment SARI to fluid anarkalis, skirts, sharara teamed up with contemporary ease.The collection has been made of pure Banarsi textile and the dying art of Kadwa and jangla has been used liberally. We have taken reference from the Mughal garments and eased it with wearable comfort. ZARI DHAGA is currently at Displayed at LAKME FASHION WEEK at STALL 54 . No Comment to " VISHWA By Pinki Sinha Displays Exciting Collection at LFW "